Almost a dozen Atlantic green sea turtles were recently found dead in close proximity to each other on Boca Chica Beach reported Jeff George, executive director of Sea Turtle Inc. on South Padre Island. According to George, dead sea turtles occasionally wash ashore, but the recent find, which happened around Christmas, was unusual for both the number and condition of carcasses found. “This was a particularly curious incident because there were 9-10 of them all in one particular spot. All were fresh dead with no signs of injury,” he said. “This was a curious occasion,” he said. 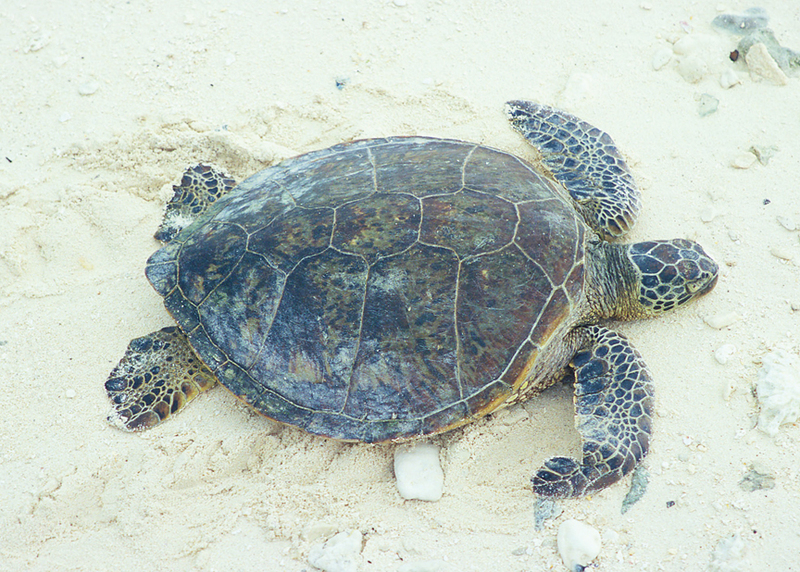 The dead turtles were found by fishermen approximately one mile south of the jetties on Boca Chica Beach. George estimates they were all within 100 yards of each other. All of the turtles measured between 1-2 feet long, making them juveniles. George said.